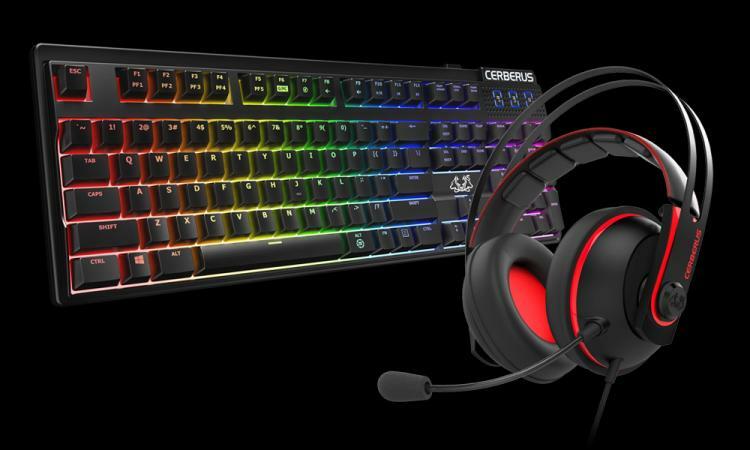 ASUS expands its entry-level gaming peripherals with the addition of the Cerberus V2 headset and Cerberus Mech RGB mechanical keyboard. The Cerberus V2 headset features ASUS Essence drivers that offer better bass-rich audio quality and fidelity that’s tuned to gaming. It has an over-ear type of cans that wraps around your ears offering long-lasting comfort. The stainless-steel headband provides a secure but firm hold without pressing on the ears. 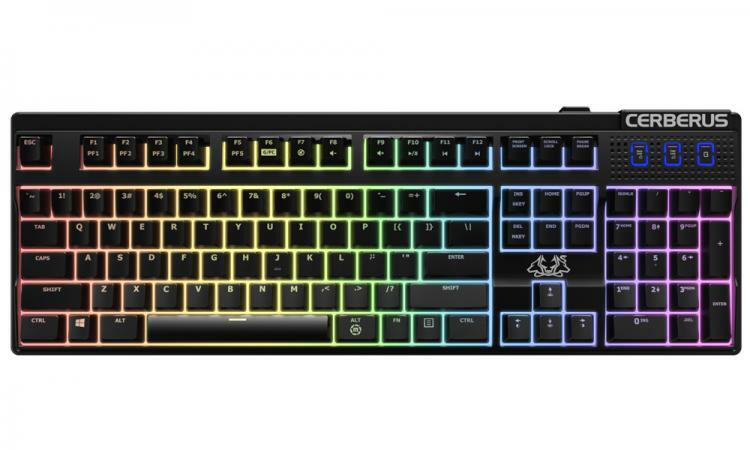 The Cerberus Mech RGB on the other hand features Kaihua RGB switches with durability rating of over 70 million actuations along with all the essential gaming keyboard features such as anti-ghosting, macro recording, RGB illumination and more. The Cerberus Mech RGB uses Kaihua RGB mechanical switches available in red, blue, brown and black switches. Kaihua offers a satisfying tactile feedback with swift response along with an impressive durability rating of 70 million keystrokes. It also has RGB lighting with 7 illumination effects. However, the RGB lighting effects are independent and is not compatible with ASUS Aura Sync. It has FN-combo media controls and macro recording. No gaming keyboard is complete without the gaming essential features such as anti-ghosting with N-key rollover technology that guarantees all key presses will be recorded. It also has the Windows lock key for uninterrupted gaming. The Cerberus V2 makes use of ASUS Essence drivers bringing audiophile quality audio to gamers. The V2’s drivers are now 53mm compared to the 60mm drivers from its predecessors which gives a more balanced audio output and still pack hard-hitting bass that’s perfect for gaming. The Cerberus V2 headset also features a durable stainless-steel headband that gives a firm and comfortable grip in your head and ears. The ear cups use an over-ear earpad size which is 30% larger than the predecessor which offers improved comfort and sound insulation. The Cerberus V2 is compatible with PC, Mac, gaming consoles along with Android smartphones and tablets. 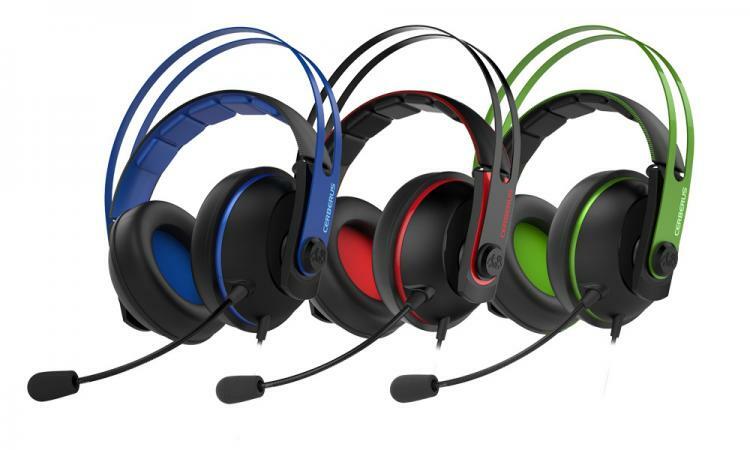 The headset is available in three different colours – red, blue and green. Check out our review of the ASUS Cerberus V2 gaming headset here. For more information on the new Cerberus peripherals, visit the product links below.